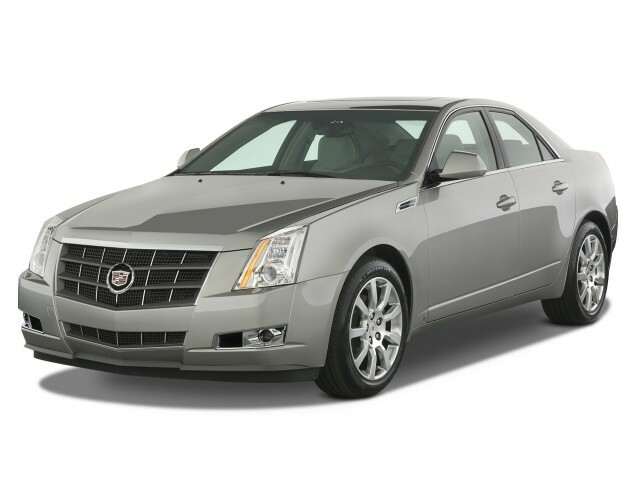 Sales of the CTS have been less than anticipated, so deals are available. 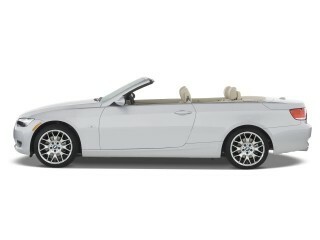 And if you want the best acceleration possible, forgo the sunroof. It adds 100 pounds to the vehicle and dips into headroom. The 2009 Cadillac CTS continues to compete with the best from Mercedes and BMW with a distinctly American approach, boasting some of the top tech features in its class. To produce this review, TheCarConnection.com’s car experts read all the competitive reviews on the new Cadillac CTS sport sedan. TheCarConnection.com also drove the car to give you an expert opinion on the car and help you make sense where other reviews might differ. After a redesign for 2008 that included a completely new interior, the mid-size CTS returns with only minor changes for 2009. The CTS sport sedan is Cadillac’s entry-level vehicle in the United States, and takes on compact to mid-size sport sedans from Europe and Japan—such as the BMW 3 Series and Infiniti G37. What helps the CTS stand out among rivals is its styling; sharp edges and a chunky appearance on the outside are met inside with smooth, flowing contours of the instrument panel. Better materials were used inside beginning with the redesign last year, and now the interior boasts high-quality upholstery and trim a step better than those usually found in this class. In front, firm sport seats give good support, while the backseat is rather snug but good for two adults. The CTS’s ride is firm but smooth, and handling is quite capable and entertaining even with the base setup. Available on the 2009 Cadillac CTS is a direct-injected, 3.6-liter V-6 hitting 304 horsepower, with base models getting a 263-hp version of the engine. 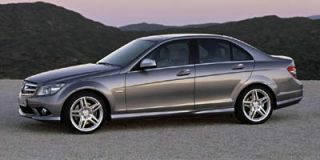 All-wheel drive is offered with either, but a six-speed manual is only available with the 263-hp engine. 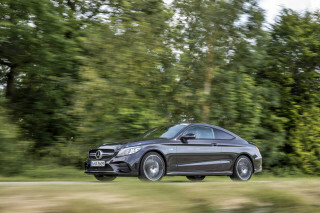 A six-speed automatic does the shifting for the rest of the model lineup. 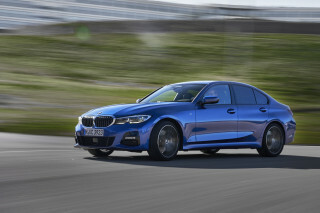 Options include an advanced infotainment system with the ability to rip CDs or record and play back radio broadcasts, new for 2009 Bluetooth connectivity, and an advanced navigation system that incorporates the XM NavTraffic feature. GM used a clean computer screen when designing the CTS, and the result is an American interpretation of a sport sedan. The front and rear exterior design detail draw praise and criticism alike. Cars.com says that “the front end can come off as a bit busy” and points out the inset fog lamps, two-tone grille, and bumper extensions below each headlight. Other reviewers suggest that the tall grille on the 2009 Cadillac CTS might not be to everyone’s liking. More controversial is the interior of the 2009 Cadillac CTS. Several reviewers point out that the CTS’s striking form compromises its usefulness, as its roofline and thick rear pillars obstruct the view outward, as well as confine backseat space and trunk access. Other editors disagree. Car and Driver notes that “even with a steeply raked rear window, the CTS offers a much larger and usable back seat,” especially when compared with the smaller cars in its price class. There is a distinct divide as to whether the interior is too flashy to be effective. ConsumerGuide criticizes the 2009 Cadillac CTS for putting form over function with some of its major controls, as “the v-shape center console stack puts most buttons into a smallish area of the dashboard,” while Kelley Blue Book feels otherwise, noting the interior’s “cheerfully luxurious design” and saying that “every control was easy to see, find and operate.” ForbesAutos.com looks at the interior with an especially critical eye, possibly explaining the differences in opinion. The reviewer first points out the double-stitched upholstery, electroluminescent gauges, and standout infotainment systems, but goes on to say, “the more you live in these confines, the more you notice that designers missed some of the fundamentals while squandering their trim and technology budget...Harmony is broken by too many textures, accents, and distracting elements.” In short, the reviewer continues to highlight how the interior is cluttered with different materials, finishes, and contrasting design details. The 2009 Cadillac CTS exterior styling is especially appreciated by the editors of TheCarConnection.com, as the new front- and back-end treatments give it better proportions—the last car could look a bit tall, boxy, and awkward from some angles. The 2009 design is lower, more aggressive, and projects a uniquely American style statement. The interior design is attractive, but it might not suit everyone’s tastes, especially for those who are used to Teutonic design approach of less is more. All the rival sport sedans keep to a conservative mold, while the CTS breaks through with a decidedly different style. The 2009 Cadillac CTS's extra weight restrains it in straight-line acceleration comparisons of rival sport sedans, but it holds its own in corners. In surveying the available reviews, we can be quite sure that the 2009 Cadillac CTS offers exceptionally good performance. 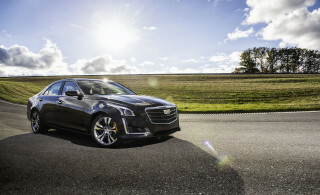 The CTS’s performance impresses even the most jaded journalists and reviewers, who positively beam about the its handling. The Cadillac CTS “drives like a proper BMW rival,” says Motor Trend, and Car and Driver ventures that “the CTS is more comfortable than a Sport-package-equipped BMW 3-series or Infiniti G37 without giving up much ultimate performance.” ForbesAutos.com commends the crisp steering and excellent road feel, and says that even at the limits of grip, the suspension brings predictable and forgiving behavior. The 2009 Cadillac CTS performance can be cranked to an edgier level with the stiffest FE3 suspension option, also equipped with the Y43 package, which includes 18-inch wheels and Y-rated Michelin Pilot Sport PS2 summer performance tires. “This CTS's high-performance Michelin PS2 tires are standard equipment on some Porsches, and they have much to do with the way this car feels and performs,” says Edmunds, who test a CTS equipped as such, also noting the CTS’s especially short stopping distances and great pedal feel. Many media outlets also note that premium fuel is recommended for the more powerful engine, but with this more advanced direct-injection design, better fuel economy may be a bonus perk. ConsumerGuide tests both 3.6-liter engines and finds that the direct-injection engine provided significantly higher gas mileage. Reviewers give rave reviews of the six-speed automatic transmission, which is commended for having great, smooth shifts during leisurely driving and snappy responses in high-performance situations. Car and Driver says that in the transmission’s sport setting, “it quickly gets bold, dutifully holding gears...and aggressively downshifting under braking.” CNET confirms that the transmission has been programmed to downshift depending on how hard you brake going into a corner and not upshift in corners, which makes the 2009 Cadillac CTS especially enjoyable to drive on the track. A manual gearbox is offered on the base Cadillac CTS, but Car and Driver states that “even with a new shift linkage for shorter throws, the manual isn’t nearly as fluid as those from BMW,” reporting an abruptly engaging clutch pedal and high center console that places the shifter in an odd place. The 2009 Cadillac CTS is a GM vehicle that finally has what it takes to compete head to head with German and Japanese luxury sedans. Compared to earlier attempts at sport sedans in the not-so-distant past, TheCarConnection.com is impressed by the new 2009 Cadillac CTS, even if the interior feels a little bit over the top. Like its competitors, the 2009 Cadillac CTS gets high marks in safety, but it isn’t a differentiating factor. The Cadillac CTS got one star short of a perfect score in the federal government’s frontal crash test but aced all other tests with flying colors. When shoppers compare the CTS, they’ll find that all the expected safety features are there, including electronic stability control, anti-lock brakes, side curtain airbags, and front side airbags. Some models offer rear side airbags as an option, though not on the CTS. It is possible to equip the 2009 Cadillac CTS with leading-edge technology to integrate your personal entertainment and your own communication. Two new features are mentioned by nearly all reviewers: the Advanced Navigation System, and the $3,145 optional Infotainment system with Bose 5.1 Cabin Surround Sound. Adaptive forward lighting is another feature that garners the testers' attention. Edmunds singles out the 2009 Cadillac CTS’s integrated XM real-time traffic service as one of the most useful features, while also complimenting the hard-drive-based navigation system, with its three-dimensional renderings of buildings when closely zoomed. Kelley Blue Book notes that the sound system “will download and store your CD collection and operate your iPod from the pop-up touch screen,” and CNET lauds the “tabbed structure” and improved screen resolution of the Infotainment system, commenting that the 40GB built-in hard drive is the largest they’d seen in a car to date. Edmunds is also wowed by the capabilities of the CTS’s optional ($3,145) surround sound system, which has a USB port, iPod integration, and MP3 playback capabilities. It can also record and replay 60 minutes of traditional or satellite radio, on a rolling basis, in case you want to rewind to a section of a show you missed. Several reviewers likened the standout feature to TiVo.